[Updated] News that Jet Blue has terminated PLP MP Lawrence Scott, wife of recovering Opposition Leader says he looks forward to returning to work, and duo accused of the 2012 shooting murder of Lorenzo Stovell, are some of the news stories set to be covered in this evening’s [April 18] ZBM newscast. 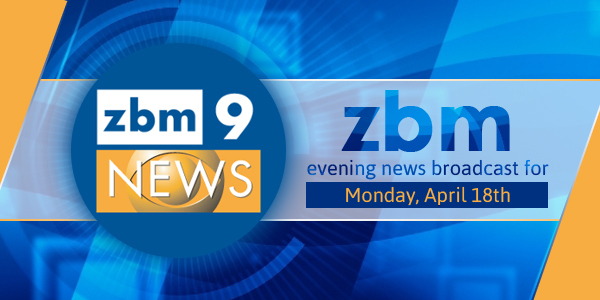 ZBM said that their news programme this evening includes: “Jet Blue airways sacks PLP MP Lawrence Scott, wife of recovering Opposition Leader says he looks forward to returning to work, and duo formally brought to court; accused of 2012 shooting murder of Lorenzo Stovell in Sandys.” Their news programme will also include the weather, sports and more. PLP First Lady? Where does this come from? There is no such thing as a First Lady in Bermuda despite the ex Premier Ewart Brown pushing it when he was Premier, not Opposition Leader. Is the PLP that much out of touch with Bermudians? The title First Lady went with the bodyguards and motorcycle outriders. If that lot get back in we will be back to spending our tax money on making them feel important. Bigg up Bernews and ZBM for this collaboration! This is fantastic, I generally do not get an opportunity to watch the evening news. Now I can catch up when I have time. Well done ZBM!